Do you want your advertisement to be more than just an ad on ground? We now give you the opportunity to reach your audience wherever they fly, and as far as they go with our unique advertisement choices. With flynas you can deliver your message to more than 6.5 million annual passengers on our fleet of 30 aircrafts across our network of 33 destinations in 8 countries. 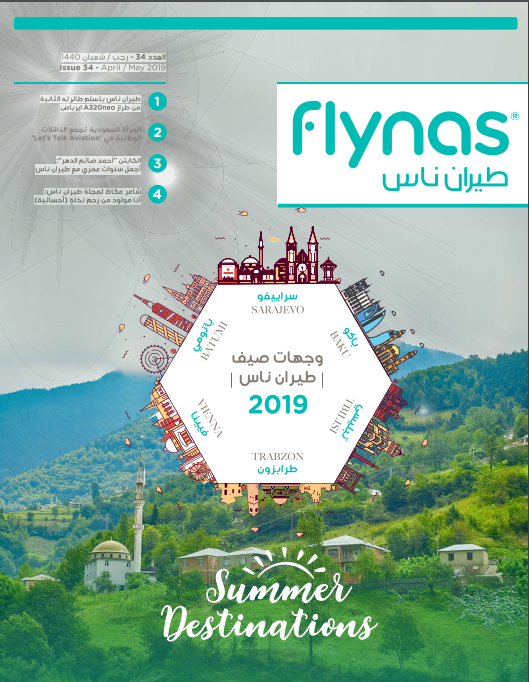 flynas is proud to work with FOR GOOD, the specialist publishers who produce our in-flight magazine. Global experts in connecting with travelers throughout their entire journey, FOR GOOD offer a portfolio of magazines and products that reach a captive audience of millions of travelers each year. Click here to visit our in-flight magazine page.